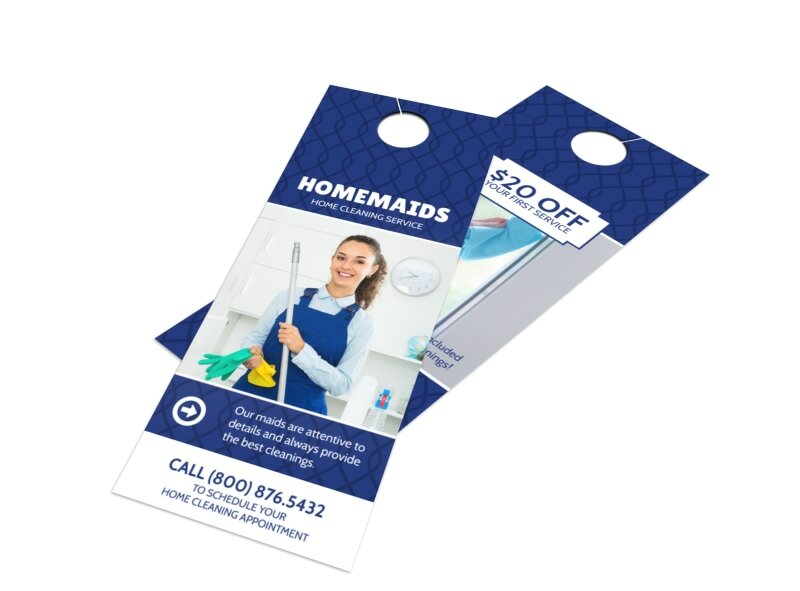 Customize our Homemaids Cleaning Service Door Hanger Template and more! 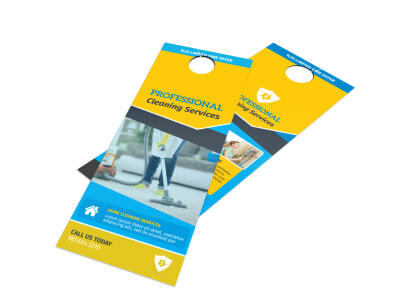 Network throughout the neighborhoods where you want to offer your cleaning service with this attractive customizable door hanger. 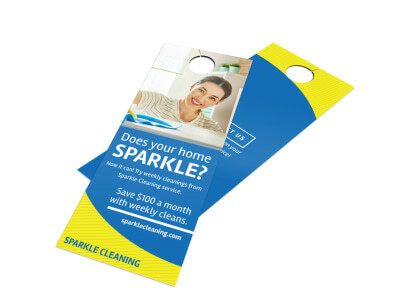 Use available space on your door hanger to give information about your prices and services that you offer, and then drive your design home with clever graphics or images. We think you'll enjoy the simple and fast design process, so get started today.